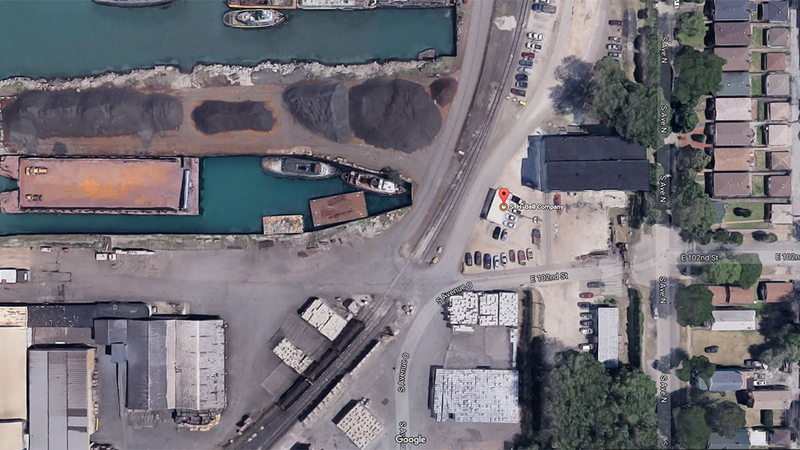 On Friday, Chicago’s Department of Public Health published new rules for so-called bulk materials sites that require stricter monitoring and data collection. The rules apply to companies that store or handle materials such as manganese, a heavy metal used in steelmaking that regulators have found at alarming levels on the city’s Southeast Side. Manganese has been shown to cause brain damage after prolonged exposure, especially in children. A recently published study of children in Ohio found a significant link between higher concentrations of manganese in hair samples and declines in IQ, mental processing speed and working memory. The city’s updated rules, which begin to take effect this month, include a new requirement that facilities store manganese in enclosured structures in order to limit emissions of the metal into the environment. Companies that handle manganese must also install filter-based monitors that measure dust emissions. Companies that violate the rules are subject to fines of $1,000 to $5,000 per violation. The updated rules come in the wake of new data showing high concentrations of manganese near a Southeast Side facility operated by Watco Transloading. In response to the data, both the city and the U.S. Environmental Protection Agency have issued violations against the company. Soil testing conducted by the EPA last year also found elevated levels of lead – in addition to manganese – outside dozens of homes on the Southeast Side. The agency plans to excavate contaminated soil from a handful of properties with high manganese levels. Last year, the Chicago City Council approved an ordinance that prohibits new facilities from storing or handling materials containing more than trace amounts of manganese. Companies that were already processing manganese at the time have since been required to file quarterly reports showing the amount of manganese shipped and received. Document: Rules for controlling emissions from handling and storing bulk materials (Chicago Department of Public Health) Despite the ordinance and the new bulk materials rules enacted last week, public health advocates and residents continue to call for an all-out ban on manganese in the city. In citing a federal health safety limit for manganese emissions – 0.3 micrograms per cubic meter over a period of several months – the new rules signal that the city intends to act if facilities are unable to control those emissions, said Debbie Chizewer, an attorney at Northwestern Law’s Environmental Advocacy Center who works with Southeast Side groups and residents. In addition to issuing fines, CDPH also has the authority to stop any “nuisance activity” that takes place at a facility, which could include excessive emissions of manganese or other materials. “Now we expect to see that [the city] acts aggressively to see that facilities adhere to the rules, and when they don’t, that the city takes action,” Chizewer said. The rules also allow the city to require enhanced monitoring – such as video recording and additional filter-based air monitors – when CDPH determines that it needs more information to assess the health impact of a facility’s emissions.